This cake is perfect for summer. It is light and refreshing. The flavor is more unique that your usual cake. It isn't overly sweet. 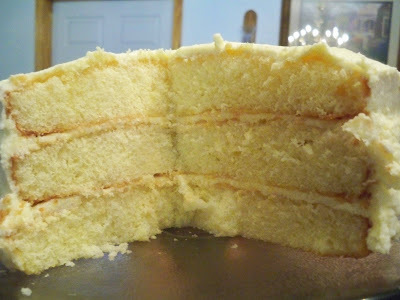 Our cake isn't as beautiful as we had hoped but we are still relatively new to baking. 2. Sift the flour, granulated sugar, baking powder, and salt together in a large bowl. 3. Make a well in the center of the flour mixture and add the oil, egg yolks, and 3/4 cup juice. 4. Whisk until smooth and set aside. 5. 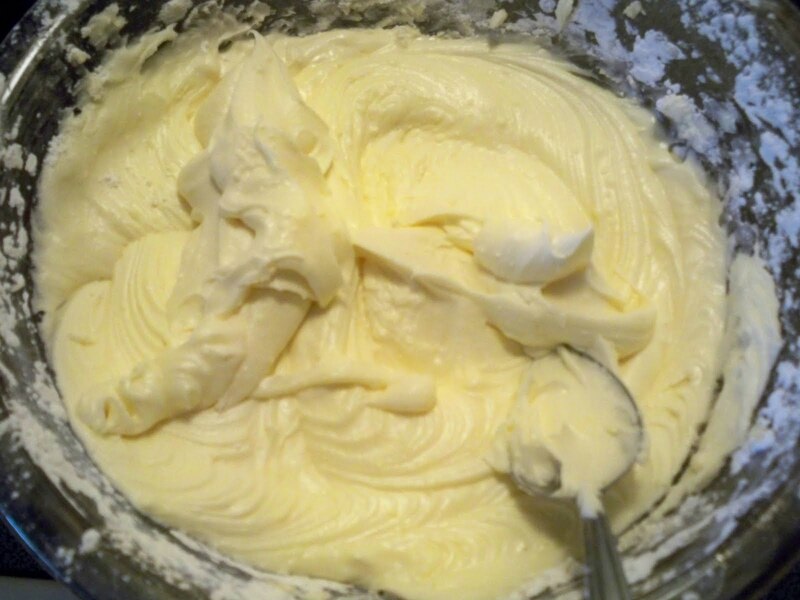 Beat the egg whites and cream of tartar using a mixwer set on medium-high speed until stiff peaks form. 6. 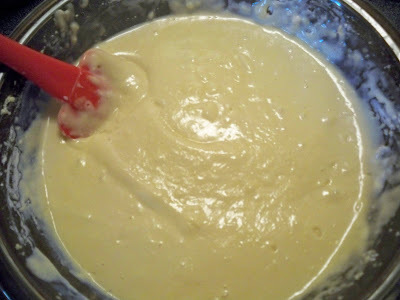 Gently fold the egg whites into the batter until just combined. 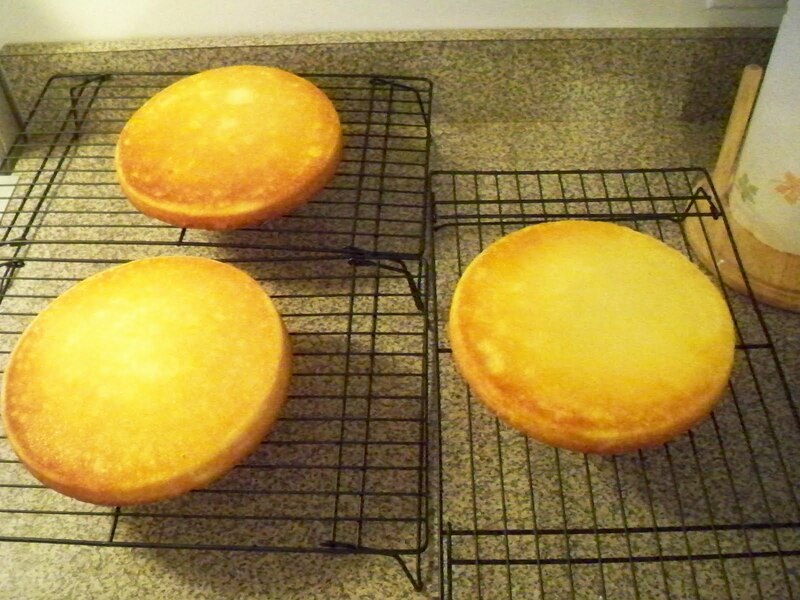 Pour batter into 3 round 9 inch pans. 7. Bake for 45 minutes or until a wooden skewer inserted into the middle comes out clean. 1. Combine the butter, heavy cream and remaining 1 1/2 tablespoons orange juice. 2. 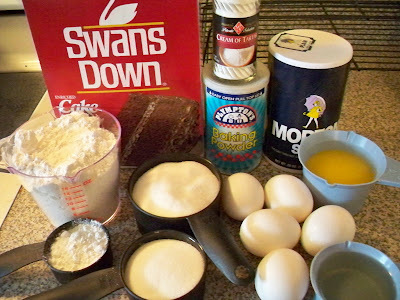 Add the confectioner's sugar gradually, using a mixer set on medium speed, until fluffy. If necessary add 1 or 2 additional tablespoons of cream to adjust frosting consistency. 3. 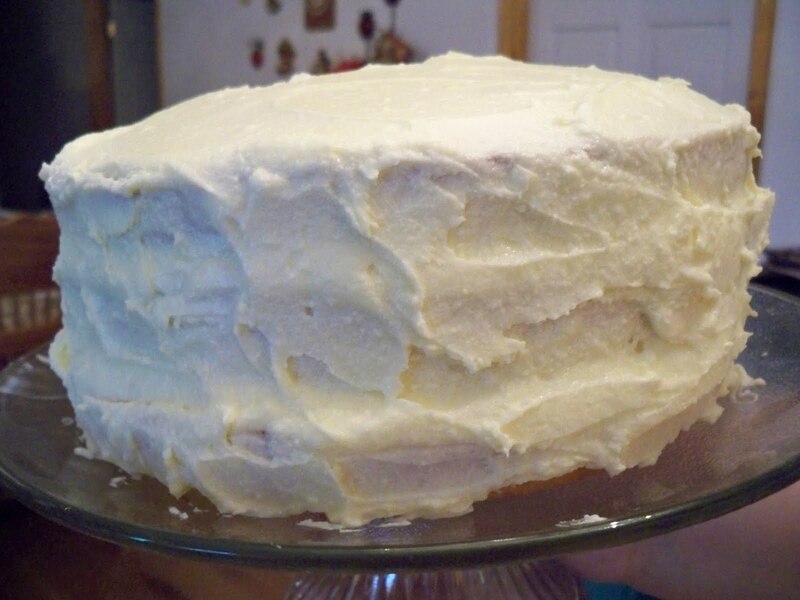 Spread frosting over the entire cake. 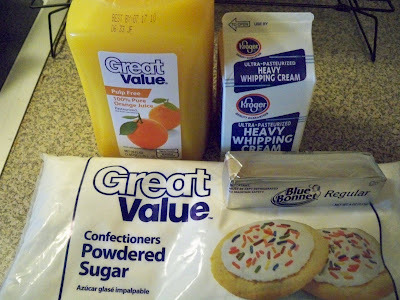 Note:We has to make 2 batches of frosting in order to have enough for our cake. oh my goodness ur making me hungry, i love sweets theyre my weakness! sometimes it not what it looks like it what it tastes like. OH my goodness this is soooo yummy! omg that looks soo good!! !